Would you like to receive back-in-stock notifications? In today’s hyper-connected world, customers interact with your brand across a variety of marketing channels — each with its own purpose. 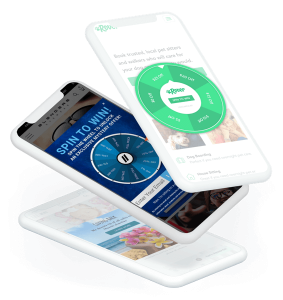 From Facebook Messenger and SMS updates to pop-ups and push notifications — deliver targeted omni-channel messaging with a consistent and unified brand voice to create one-to-one relationships with every visitor on your site. Reinforce off-site marketing efforts with on-site promotions to drive immediate conversions. 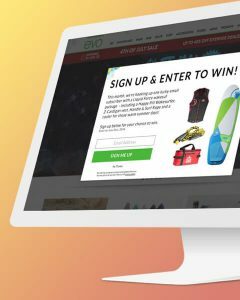 For example, display the same unique coupon code from a Facebook ad in an on-site banner with a countdown timer using UTM parameters. Understand your visitors on a deeper level with our proprietary visitor tracking technology so you know how, when, and what messages they like to receive. Your visitors won’t stand for messaging that feels like spam. It’s time to get personal. Tie your on-site and off-site marketing efforts together by curating the customer journey from start to finish. With so many avenues available for customers to interact with your business, research your products, and ultimately make a decision — it’s more important than ever before that each one is pinpointed and refined to move the visitor down the funnel. Use on-site promotions and pop-ups that complement off-site campaigns in a way that drives sales. 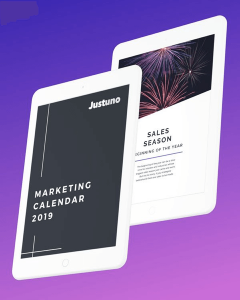 Integrate your favorite marketing software with Justuno to create unified omni-channel marketing strategy. Create a conversation with Facebook Messenger. As marketing becomes more and more personalized, direct one-on-one communication channels are prime real estate. Facebook Messenger is a powerful way to communicate with your audience instantly and has an open rate of over 80% and exceptionally high click-through rates at 30-40%, far superior to most email campaigns,. Trigger automated flows to push users through their journey via: voting, questionnaires, or basic chatbots. If a customer hasn’t visited your website within the past month, send a specific message based on previous interactions to bring them back into the fold. When the customer clicks through the message to your website, then trigger similar messaging on your website to reinforce the original message. By 2020, the average revenue from messaging apps is anticipated to be more than $15 per user, driven mainly by chatbots. Why stop now? 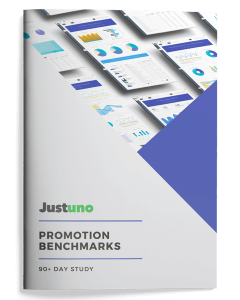 Check out the rest of Justuno’s features to discover how our suite of visitor conversion tools can help make the most of your existing website traffic. Discover products and features that will help take your omni-channel marketing to the next level. Don’t be that guy. Check out our resource section to make sure your pop-ups and promotions are in line with best practices.